Beautiful, embroidered woven bags and shoes for summer, these delightful accessories have a real retro feel with their white or tan leather finish and palm leaf embroidery to give a tropical appeal. These are fun accessories for your summer wardrobe, perfect for holidays. Destined for your next island escape, the Malibu tote is woven from natural straw with palm leaf embroidery, leather handles and our signature lock charm. 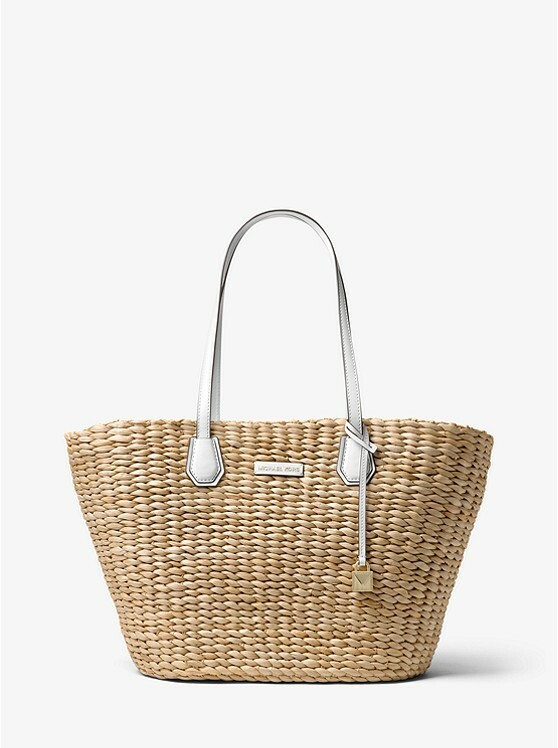 The linen-lined interior is spacious enough for all of your essentials, plus an extra pair of sandals for when you’re ready to hit the beach. The Malibu tote is woven from natural straw with leather handles and the MK signature lock charm. The linen-lined interior is spacious enough for all of your essentials, plus an extra pair of shoes where the weather is hot. Capture the effortless charm of coastal living with the Malibu satchel. 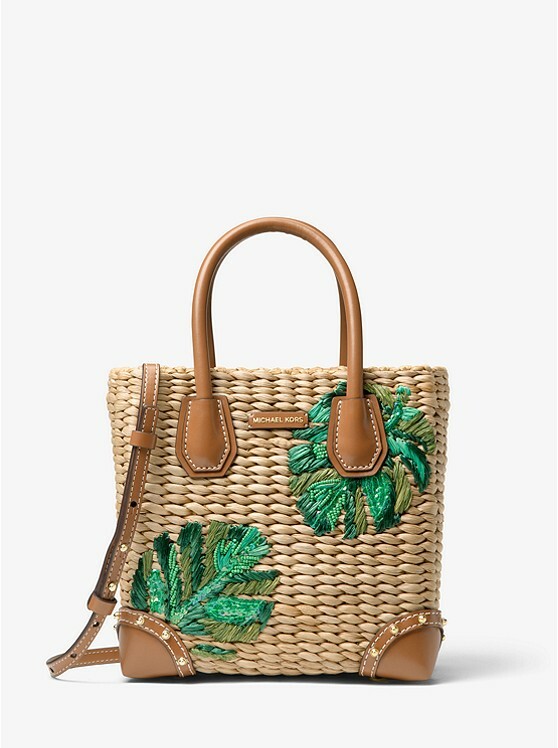 Woven from natural straw with palm leaf embroidery, leather trim and gold-tone hardware, this structured accessory is a must-have for complementing the season’s dresses and separates with artisanal character. 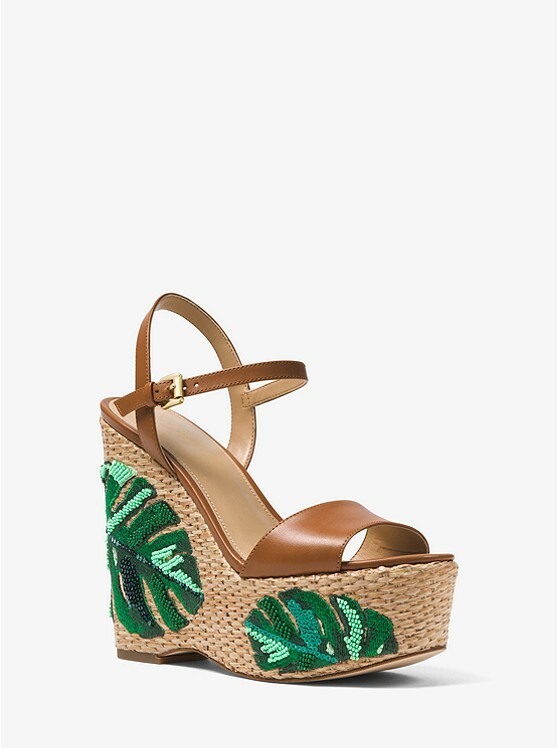 Designed with smooth leather straps and set on a soaring raffia platform, our Fisher wedges channel getaway glamour with palm leaf embroidery. Style this artisanal pair with a breezy sundress for days spent seaside. Woven from natural straw with palm embroidery and leather accents, this Malibu clutch offers a vacation-ready take on an essential silhouette. 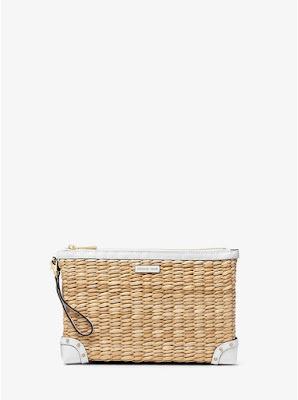 It features a linen-lined interior that’s sized to fit your phone, cards and cash. 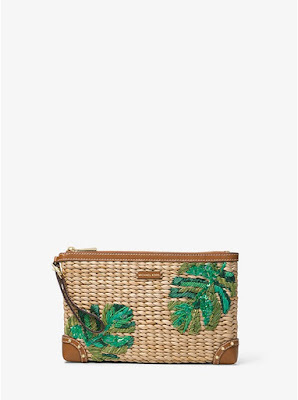 Stow it in your beach bag during the day, then carry it as a clutch at night. Woven from natural straw with leather accents, the Malibu clutch offers a vacation-ready take on an essential silhouette. It features a linen-lined interior that’s sized to fit your phone, cards and cash. 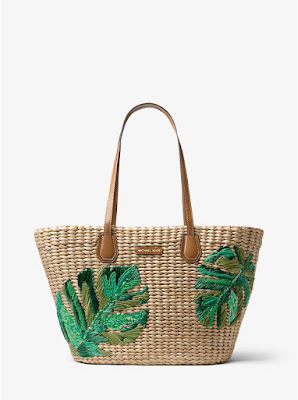 Stow it in your beach bag during the day, then carry it as a clutch at night. 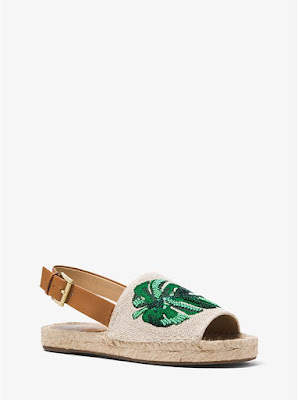 Detailed with palm leaf embroidery and beaded accents, these Fisher espadrilles bring island-inspired charm to every step. This vacation-ready pair is crafted with a leather strap and linen vamp for a richly tactile effect.